If you’ve got thick hair, you know what a pain in the you-know-what it can be. It gets tangled easily, it takes forever to dry, and it can be tricky to style. That’s why finding the best curling wand for thick hair can make all the difference if you want curls or perfect beachy waves. 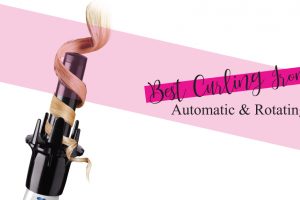 We’ve rounded up our top picks for the best curling wand for thick hair — read on to what makes each one an excellent pick. Heat settings. Maximum heat is a must for thick hair. 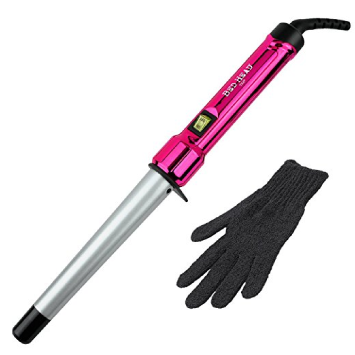 Our hottest tool, the Revlon 3X Ceramic Curling Wand, heats up to 420 degrees. 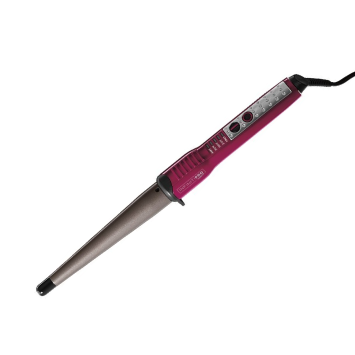 Two curling wands, the one from Bed Head and the one from Conair, heat up to 400. The Remington and xtava models both heat up to 410 degrees. Coated barrel. No metal curling wands for us! Each of our picks is coated in some type of ceramic, usually Tourmaline ceramic. Only the Remington had a pearl ceramic coating, which claims to be smoother and harder than other ceramic coatings. Having thick hair means learning to be flexible — and what better way to be flexible than to invest in a curling wand set that comes with five separate barrels? The xtava 5 in 1 set has barrels that range in size from 0.3 inches up to 1.25 inches. Two of the barrels are curling wands while the other three are curling irons, meaning they have a clip. The two wands are tapered, and the three curling irons are all straight up and down. One feature that makes the xtava set particularly useful for people with thick hair is the high temperature setting. 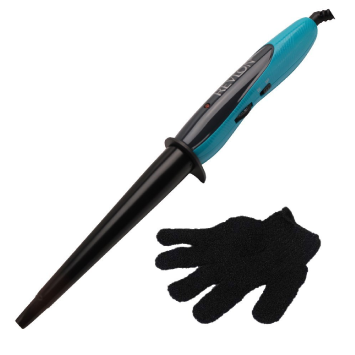 The tool will heat up to 410 degrees Fahrenheit, no matter which of the barrels you’re using. The barrels are also coated with Tourmaline and ceramic, which can help to protect your hair. One of the biggest complaints about the curling wand and curling iron set might be that the curls don’t stay. Some users have said that their curls fall out quickly. Whether that’s because of an issue with the curling wand or the user is difficult to say, but we recommend following the advice for curling thick hair to ensure best results. Bed Head produces an entire range of curling wands and irons. The 1-inch tapered curling wand might be its best curling wand for thick hair. The wand heats up to 400 degrees Fahrenheit and has a tapered barrel that’s 1-inch wide at its thickest. The barrel is coated with Tourmaline ceramic, so it heats evenly and is less damaging compared to a chrome- or metal-coated barrel. Thick hair is notoriously tricky to curl and usually takes a long time. So it’s pretty high praise that one user with thick hair said that the Curlipops Tapered Curling Wand let her style her hair in just 25 minutes. Of course, not everyone is thrilled with the curling wand. Some people complained that theirs stopped working after just a few months while others weren’t happy about the lack of temperature controls. The Infiniti Pro by Conair might be the most budget-friendly curling wand for thick hair. It comes in well under $20. But despite its bargain basement price, the tool can heat up to 400 degrees, has a tourmaline ceramic coating and five temperature settings. The curling wand also has a relatively narrow, tapered rod. It’s 1-inch at its widest and 1/2 inch at the narrow tip, which means you can use it to create small or larger curls. 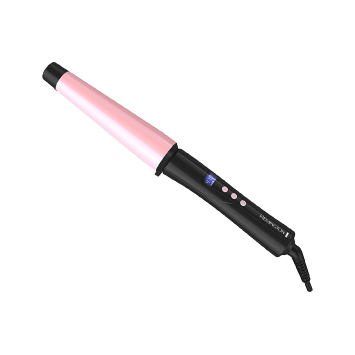 Another great feature of the wand is that it heats up in just 30 seconds. It also has an auto shut-off for safety. Users of the curling wand have called it a must-have for getting beachy waves. One user noted that she’s no expert but has managed to get great curls in her thick hair using the tool. While many people are happy with the tool, some did point out that their hair got stuck on the rubbery bits at the end of the wand. The curling wand doesn’t have a digital display, and one user found that the labels on her curling wand rubbed off, making it impossible to know how hot the tool is. The Revlon 3X Ceramic Tapered Curling Wand has three layers of ceramic coating its barrel. The triple layer coating helps it to heat evening and also helps to protect hair from damage. Not only does the curling wand heat up to 420 degrees Fahrenheit (making it the hottest tool in our roundup), it also has 30 heat settings, giving you maximum control over your styling. You can adjust the heat settings on the curling wand by a turning a dial. That can be a good thing or a bad thing. For one thing, it’s easy to see the setting you’ve chosen. But it’s also easy to knock the dial and adjust the setting up or down while you’re in the middle of styling your hair. 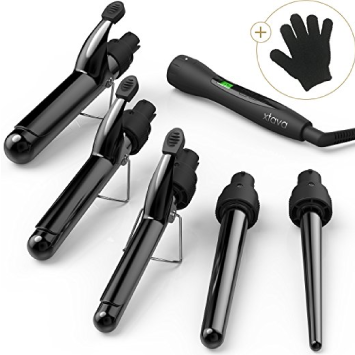 Users of the Revlon curling wand were happy with how quickly it curled their hair, although a few were a little nervous about how hot the wand gets. Some did complain that the wand was tricky to figure out how to use. The size of the Remington Pro Curling Wand might be the one thing that’s working against it. At 1.5 inches in diameter at the widest part, it’s bigger than any other curling wand in our roundup. But the special pearl ceramic coating sets it apart. The coating is supposedly smoother than standard ceramic, which means your hair is less likely to get stuck on the wand. Additionally, the pearl coating is harder than standard ceramic, which means can mean that the curling wand will have a long usable life and that it’ll be able to heat evenly. We particularly like the fact that the Remington curling wand has nine heat settings and a digital display, so it’s easy to see just how hot the tool is. It has a maximum temperature of 410 degrees Fahrenheit, which is hot enough for thick hair. 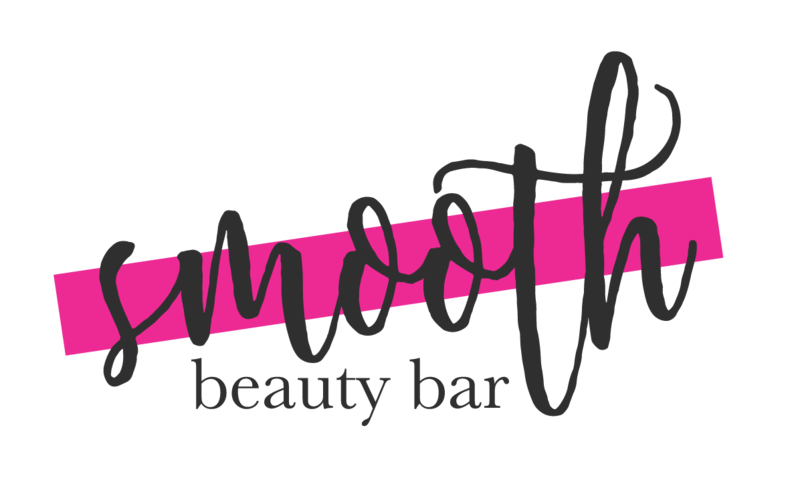 The curling wand includes a few safety features, such as an auto shut-off after 60 minutes of inactivity and a heat protectant glove. People with thick hair who’ve used the Remington curling wand have for the most part reported great results. They’ve said that it helps them style their hair quickly and that it produces the curls and waves they want. Those who aren’t so happy with the tool have said that it’s not the best for people with short, thick hair. Some have also struggled to use it because there’s no clamp. What’s Up With Thick Hair? People with thin or fine hair often look at people with thick hair with envy in their eyes. It’s true; there are some benefits to having a thick mane of hair. But often the drawbacks can seem to outweigh any benefits. When you’ve got a lot of hair, it can be a pain to style. For one thing, people with thick hair have more of it than others, so styling takes FOREVER. For another thing, thick hair tends to be stubborn. It’s heavy and might not want to do what you want it to do. Fortunately, there are a few tricks you can do to help your thick hair hold a curl. One thing to try is skipping the shampoo before you style your hair. As long as your hair isn’t super oily, having a bit of grease can help it hold the curl better, according to Total Beauty. Another thing to try is adjusting the size of the curls you’re making. Smaller curls are likely to last longer in thick hair than larger curls. How is a Curling Wand Different from a Curling Iron? Now that we’ve got an idea of what you can do to help thick hair hold a curl let’s look at your options when it comes to tools. We’ve reviewed the best curling wand for thick hair, but how is a wand different from a curling iron? The tools are different in a couple of ways. Curling wands don’t have a clip to hold your hair in place while you style it. You also hold the tools differently when you use them. When you’re using a curling wand, the cord points into the air. Finally, a curling wand makes a different type of curl than a curling iron. You’ll pretty much only get waves out of a curling wand while a curling iron will give you waves or ringlets. 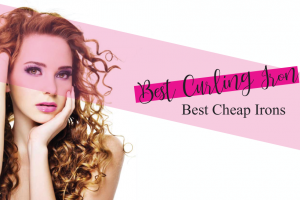 If you’re still struggling to get a curl in your thick hair despite using the best curling wand for thick hair, it could be because you’re making one or more of these mistakes. Curling too much hair at once. Ugh, we know, curling thick hair takes forever. But don’t try to rush it by wrapping as much hair as possible around the wand. Skipping the heat protectant spray. It’s OK to curl unwashed thick hair, but you still need to protect it first. Playing with your hair right after curling it. After you take the wand out of your hair — leave the curl alone! Touching your curls when they’re still hot can make them more likely to fall. Curling your hair for too long. You should hear your hair start to sizzle or smell your hair frying while you style it. Not using the right heat setting. Thick hair tends to need a higher heat setting than fine hair. Don’t be afraid to get a little hot when styling your hair. We choose the xtava 5 in 1 Professional Curling Wand and Curling Iron Set as the best curling wand for thick hair. We’re picking it thanks to its five barrels and high maximum heat setting. Whether you prefer a wand or a curling iron, the xtava set gives you the best of both worlds.